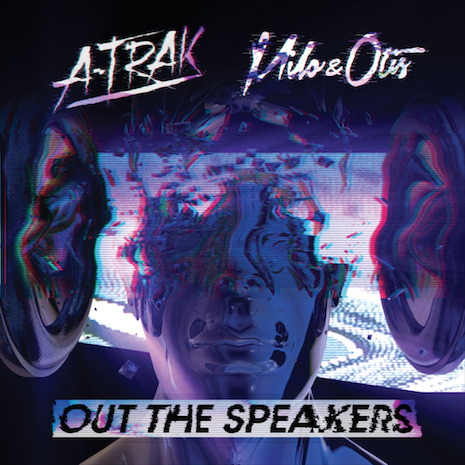 When DJ superhero A-Trak links up with vanguard production duo Milo & Otis, no bassbin (or Mountain Dew commercial) is safe. Following M&O’s hit remix (with Skrillex & Kill The Noise) of Trizzy’s Duck Sauce single “NRG,” they combine forces to slow down the BPMs and make a speaker-bursting, apartment-evicting monster constructed from twerked out drums, Rich Kidz’ screwed rap vocals, and what is perhaps mankind’s first recorded “burp drop.” (Check Caked Up and Vindata’s remixes for even more bass.) Sleeve by Kidmograph.